Pop icon Diana Ross headlined the 24th Annual Leukemia Ball, including no less than five costume changes! Be sure to check out all 214 of our photographs from this event HERE! 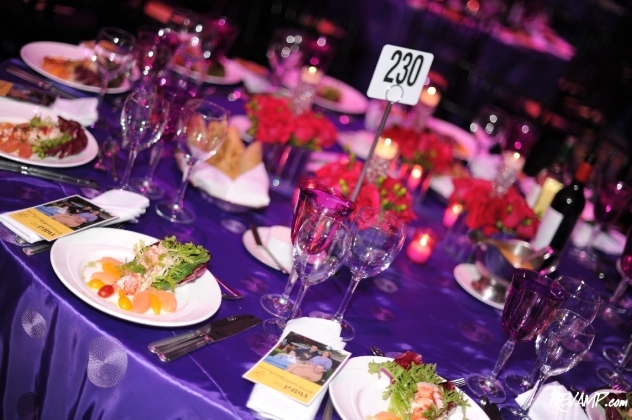 NORTHWEST -- The cavernous grand ballroom of the Walter E. Washington Convention Center was bathed in a sea of pink and purple on Saturday night, as The Leukemia & Lymphoma Society (LLS) welcomed supporters to its 24th Annual Leukemia Ball. 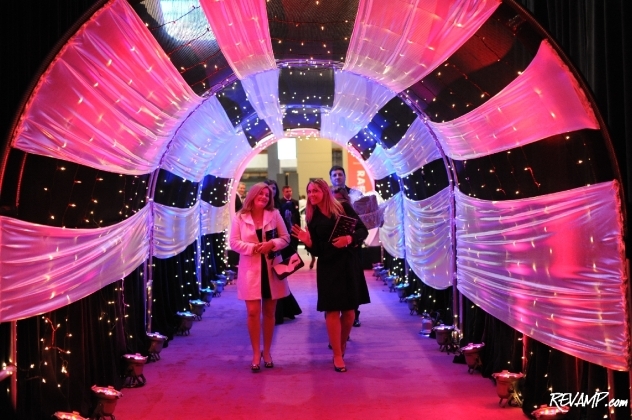 Guests entered the convention center via a specially lit tunnel. For VIP guests, the night began with an intimate �Chairman�s Reception� held inside one of the meeting rooms on the venue�s second floor. 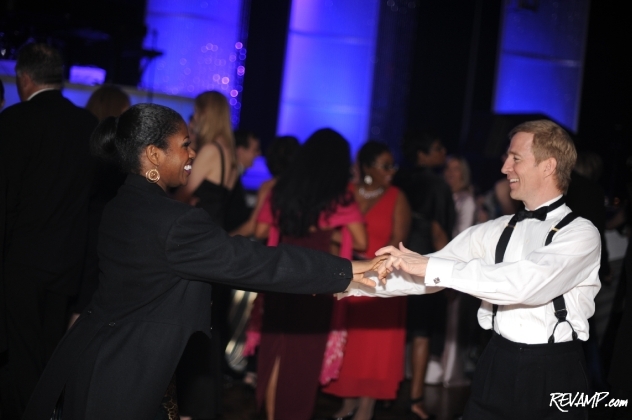 There, attendees had a chance to mingle and talk with the night�s hosts, including Executive Director of LLS� National Capital Area Chapter Donna McKelvey, Senior Event Co-Chair Steven L. Lilly, Event Co-Chair Robin Lineberger, and reception emcee Loo Katz. Robin Lineberger, Delaney O'Hagan, Tim Lawrence, Donna McKelvey, and Steven L. Lilly. 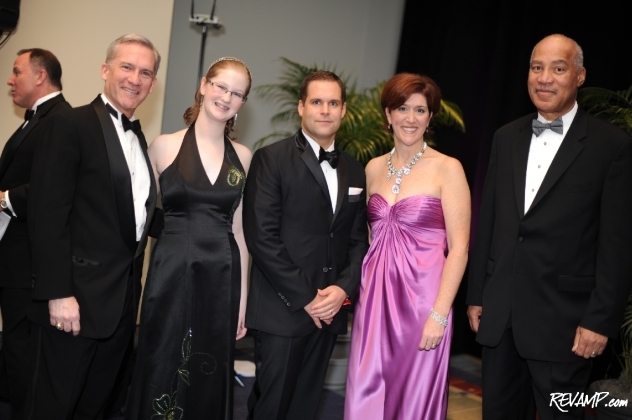 A special gift was also presented to McKelvey who will be relinquishing her leadership position in organizing the ball next year (but continuing her work as a Field Director with the LLS), as well as to the ball�s Mission Sponsor: the Pharmaceutical Research and Manufacturers of America (PhRMA). At the conclusion of the Chairman�s Reception, VIPs joined more than 2,000 of their fellow LLS supporters in the surrounding hallways of the convention center, where they were free to peruse the more than 400 silent auction items that had been donated for the evening. 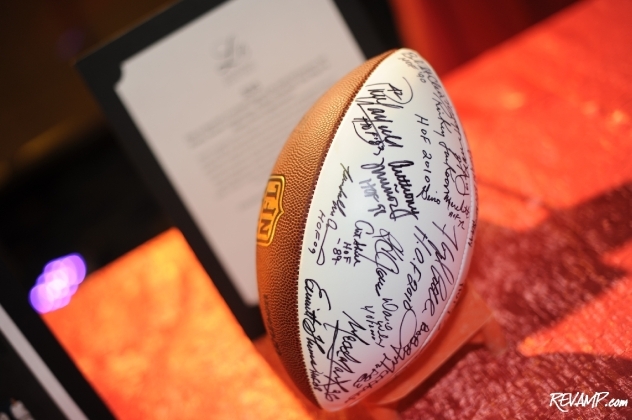 Silent auction items included everything from autographed sports memorabilia to lavish vacation packages. After drinks and light hors d�oeuvres, guests were slowly invited to find their tables inside the grand ballroom in preparation for the main event. The ball�s emcees Anita Brikman, Lindsay Czarniak, Laura Evans, and Alison Starling then took to the stage to greet everyone and introduce McKelvey, Lilly, and Lineberger. A special �live donation drive� was then held which managed to raise more than $115,000 in less than 20 minutes. The importance of such fundraising was soon driven home, as 16-year old leukemia survivor Delaney O�Hagan and her family took the stage to describe their experience and the impact of the LLS in an emotional series of remarks. Anita Brikman mingled with the crowd during the night's live donation drive. Tears were soon replaced with smiles, however, as comedian John Heffron delivered a hilarious hour-long set that blended elements of storytelling and physical comedy. The winner of the second season of NBC�s Last Comic Standing competition, Heffron is a regular on The Tonight Show with Jay Leno and has starred in several specials for Comedy Central. Comedian John Heffron blended elements of both physical comedy with storytelling in his hour-long set. Heffron was even tasked with one of the most fun jobs of the night, along with Peter Collins, Mercedes-Benz Mid-Atlantic Area Manager, in selecting the winners of two shiny new Mercedes-Benz luxury sedans, kindly donated (to the tune of $90,000) by the area�s network of dealers. Guests were then treated to a sumptuous three-course dinner, including plates of lobster mosaic, pan-seared filets of beef, and sour cream cheesecake. Plates of lobster mosaic greeted guests as they found their tables. 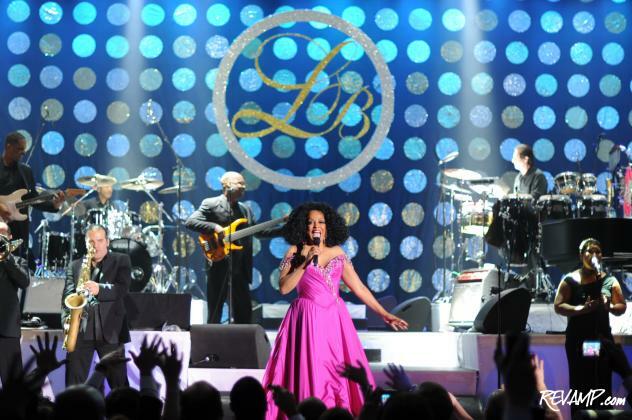 Of course, nothing in the evening could compare to the ball�s closing performance, which was headlined by musical and cultural icon Diana Ross. Touching on many fan favorites, including some from her time with The Supremes, and concluding with a lengthy cover of Gloria Gaynor�s �I Will Survive�, Ross had guests of all ages dancing in the aisles and on their chairs. Diana Ross had the audience dancing the night away in no time!